If you’re one of the people who is looking forward to buying a new iPhone XR or Xs Max, there are already cases for you! 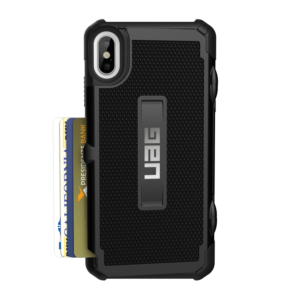 Urban Armor Gear(UAG) is one of the companies who have rolled out their cell phone cases to protect your valuable phone. Today, we’re looking at two of those cases. These rugged, but classic looking cases will surround your phone to a lip on your screen with a poly-carbonate shell backing. The back opens to reveal a recess that holds up to 4 credit cards. The inside backing is rubbery and springy- built with the hexagonal pattern you’ll find in many UAG cases. The back is tough to open initially, but should get easier after a while. There is the usual drop test standard to MIL- 810G-516.6. 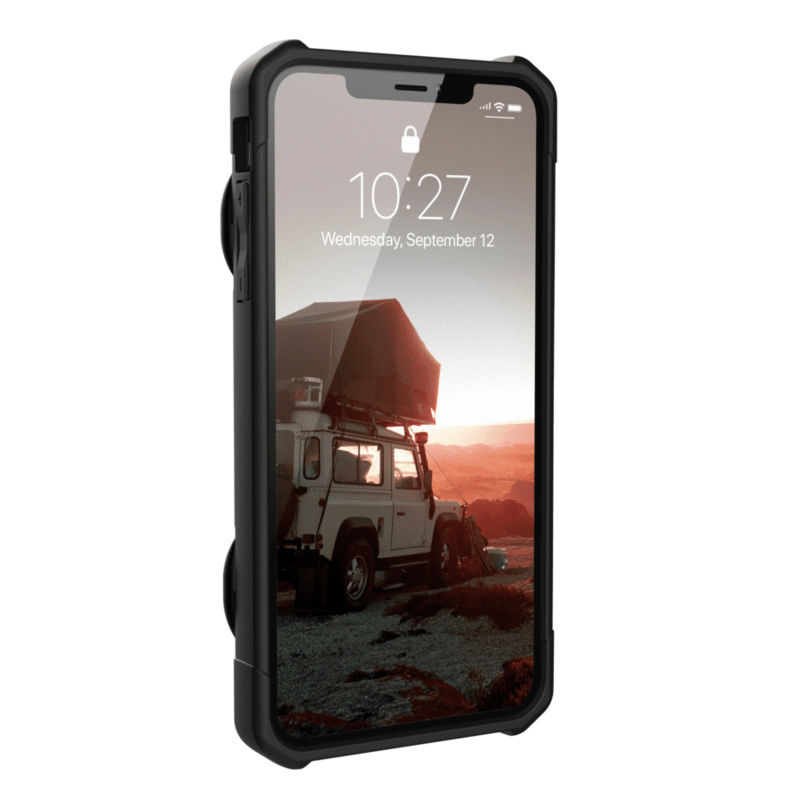 We have reviewed this series for other phones before as well, but for the iPhone X/XS and XR this black case costs $39.95. The case for the XS Max costs $44.95. 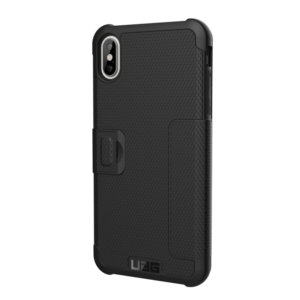 The Metropolis case is another fabulous case by UAG. This one provides 360 degree protection by wrapping completely around your phone. The inside of the cover has a soft, felt material that lines and protects the screen of your phone. It also holds credit cards in pockets. The outside of the case has a leathery feel, but is water resistant. There are raised ridges on the back. The strap closure is held in place by a magnet. Your ports and buttons remain easy to access. 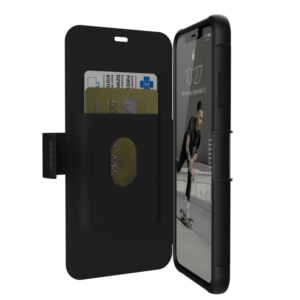 The thinness of the case allows you to wirelessly charge your phone, or access Apple Pay. The cases for iPhones X and above come in black, blue and red. They’re available for $39.95 on the UAG site. Both of the cases in these collections are covered by a one year warranty, and have free shipping. Thanks to UAG for sending us these cases free of charge in exchange for our fair and unbiased review. No other compensation was given.